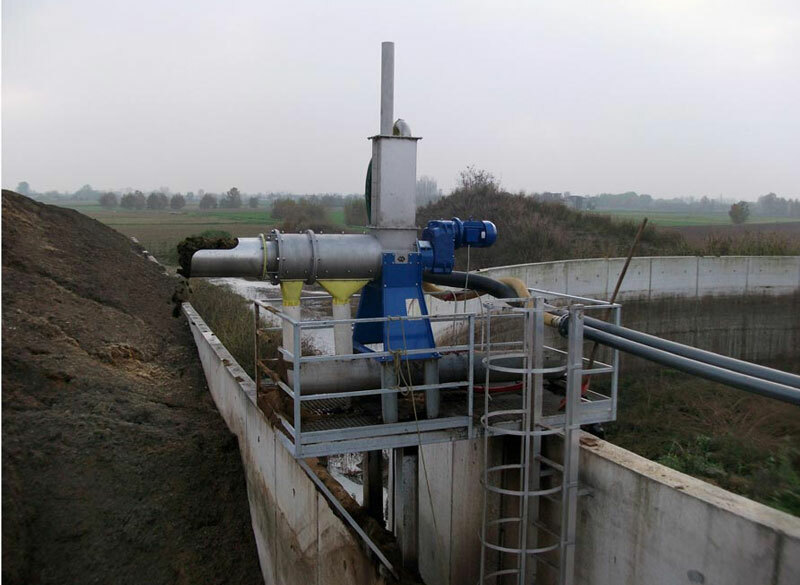 The Horizontal Separator is utilized for separation of digested processed biomass into solid and liquid parts included into the basic equipment of the Biogas plant. 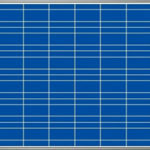 Separator parts are made of corrosion- and abrasion-resistant steel. The Digestate is either gravity fed or is fed to the loading chamber by means of pumps through a supply branch pipe. From the loading chamber Digestate is fed to the separator by the use of a varied pitch auger made of abrasion-resistant steel. 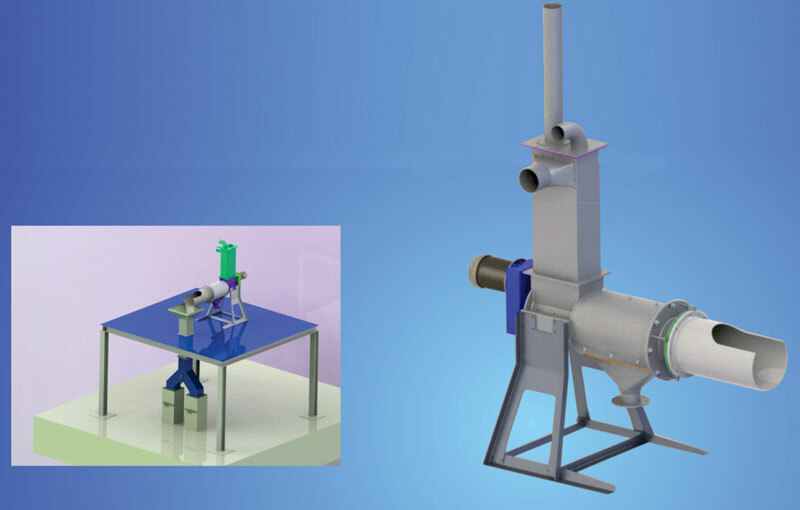 Fluid and strong divisions are isolated by methods for weight and filtration in the separator. Liquid and solid fractions are separated by means of pressure and filtration in the separator. Liquid fraction is poured out through an emptying fixture secured to the accumulator tank. Solid fraction with the help of an unloaded leaves the separator and is accumulated in a bin. Our Horizontal solids-liquid separating machine based on screw conveyor technology. separation Performing by both mechanical compression and gravity, the Separator is designed to separate the liquid portion from the solid portion of a wide range of materials such as sludge, manure, sewage, Digeste Biogas Slurry, vegetable and fruit Digestion and processing waste and, in general, solids-liquid mixtures in which the percentage of liquid inside the solids may differ considerably. The separated solid portion and liquid portion can both be simply and economically handled.